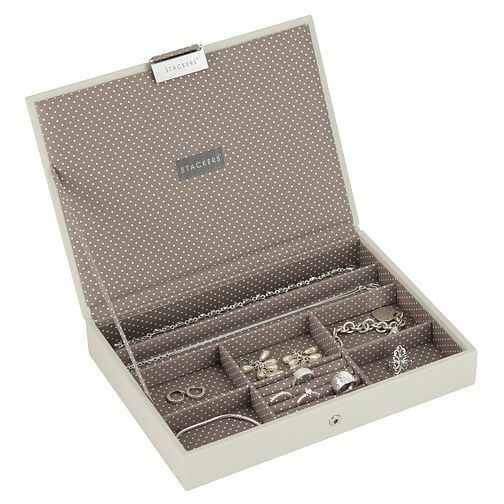 With 8 sections, this stylish vanilla coloured stacker jewellery box is designed to hold several different types of jewellery, as well as a dedicated section for rings. The perfect way to build layers to create your own unique jewellery storage solution. Stackers Vanilla Lidded Jewellery Box is rated 4.7 out of 5 by 3. Rated 5 out of 5 by Anonymous from Jewellery box Stackers jewellery box ordered for a Christmas gift.